Brand new construction Welcome to the Ellerbe! This beautiful, open, and spacious floorplan has 1893 square feet with 3 Bedrooms and 2.5 bathrooms. 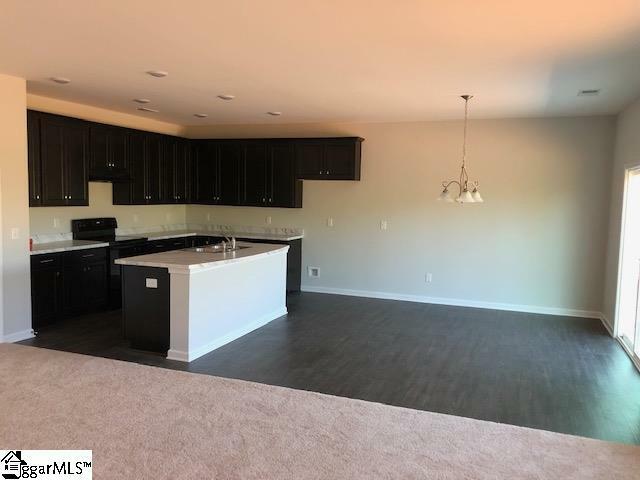 Its located in our newest community Legacy Park, where you can enjoy the desirable location minutes from I-385, Mauldin, Simpsonville, and downtown Greenville. Legacy Park is also convenient to Legacy Pines Golf Club, athletic fields, and Southside Park featuring Discovery Island, the area's coolest water park. As you walk up to the home you will see the nice front porch with two columns that lead you into the front door. 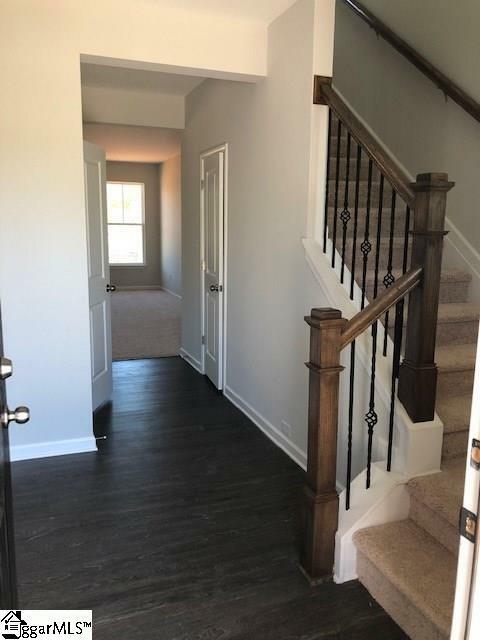 Upon entry you are greeted with a long foyer that has a nice open staircase with oak railing and metal balusters leading you up to the second floor. The entire first floor is covered in LVP, except for the nice lush carpet in the Great room. 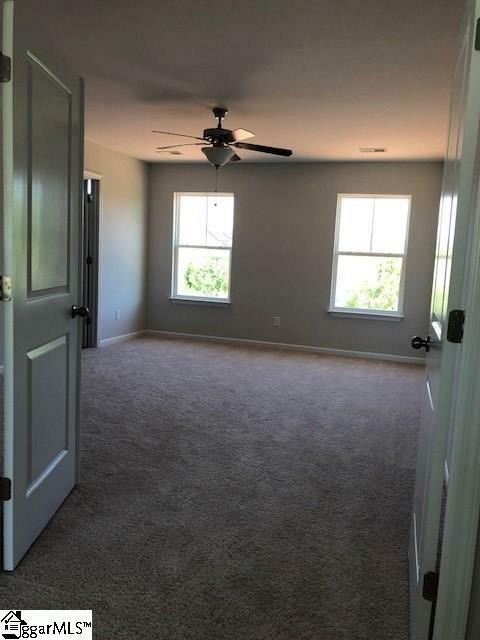 As you walk down the foyer, before you get to the main living area, you have a nice Powder Room and spacious hall closet. At the end of the foyer you are greeted with a large and spacious Great room that has a nice Gas log fireplace with mantle. The great room opens up to a beautiful and spacious kitchen with large island. The kitchen is nicely upgraded with large 42 inch Maple cabinetry and fitted with lovely crown molding along with an upgraded appliance package. Right off the kitchen is a great size breakfast nook/dinette area which also has a glass sliding door leading you out to the patio and backyard. As you take the stairs up to the second floor you are met with a nice double door that leads you into the large master bedroom. 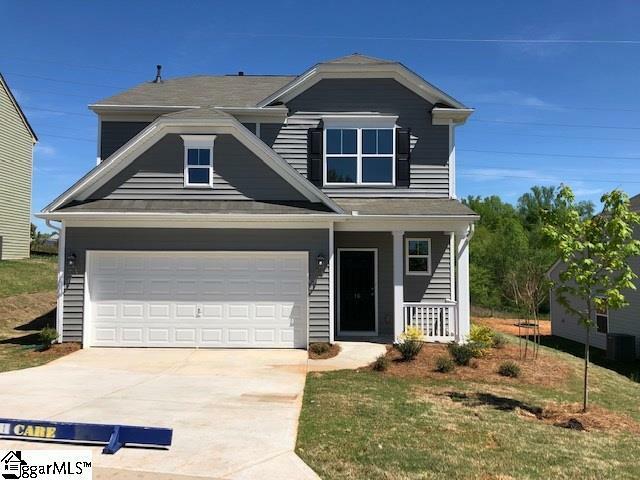 In the master you will find a beautifully upgraded 4 piece master bathroom with 5 foot walk in shower and ends with a large and spacious walk in closet. As you walk back out of the Master you are met with a large and open loft area. Surrounding the loft area you will have a nice Laundry closet along with a second full bathroom and 2 spacious guest bedrooms. Come check out this beautiful home and lovely and desirable community!